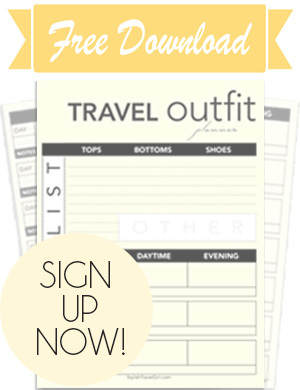 Late this fall, after a long summer of road-tripping (read: ‘living out of various bags and containers in my car’), I was eager to regain my organization (and sanity) in a single bag. I wasn’t unhappy with my current carry-on bag, but it was lacking a bit in the style category, and I was open to trying something new. So, when offered the opportunity to review this 3-in-1 travel bag, I accepted. It wasn’t just the ‘newness’ of the bag that intrigued me. When I looked it up online, I immediately admired two key things. 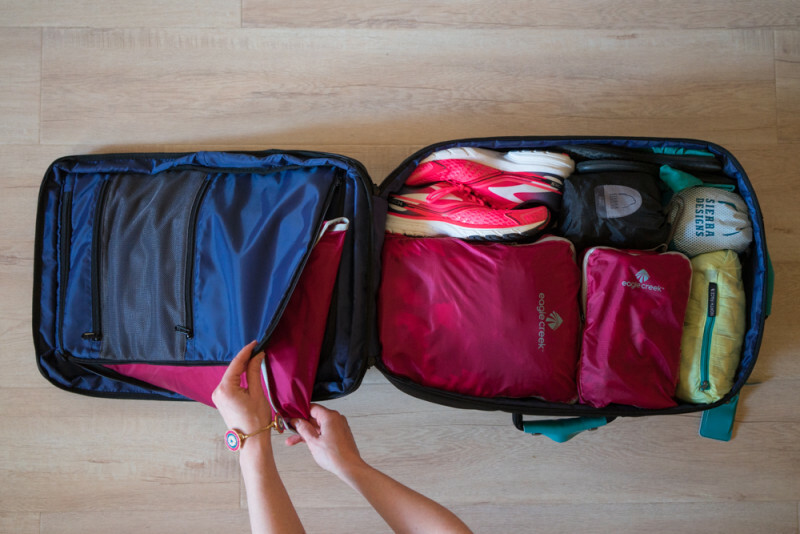 The bag is also designed to fit perfectly within airlines’ carry-on size and dimension limits, so this was a HUGE plus for me as a carry-on only traveler. Its simple black design with splashes of color sure beat the neon piping on my current carry-on bag, and having 3 carrying options sounded pretty awesome, too. When I received my Carry-on Backpack in the mail, I immediately changed my accent colors from orange to blue. (Black + orange = Halloween, right?) And then I spent the next two months traveling with it — in the car, on a plane, and yes, even on a train. Not all backpacks are created equal. And the most notable difference in the Standard: organization is easier. 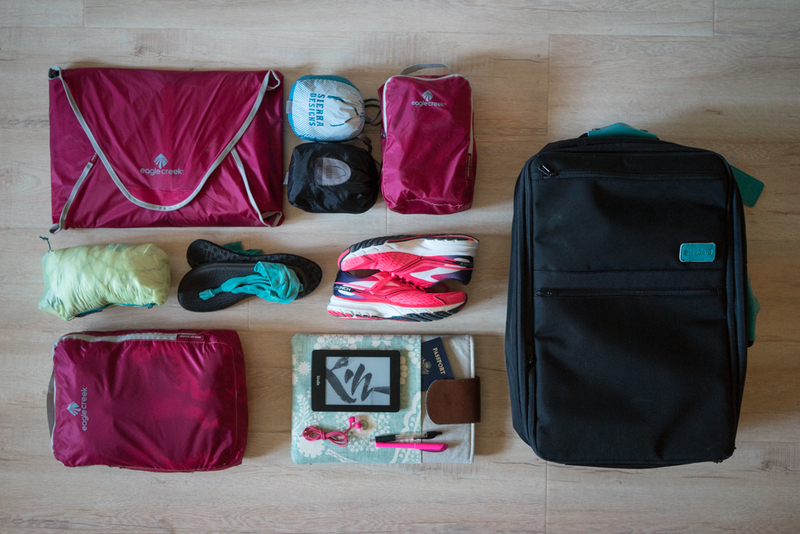 Instead of the top-zipper access of a traditional backpack, Standard’s bag features a ‘clam-shell opening,’ allowing you to find the best fit for your contents with full access to the interior of your bag (no unpacking and repacking required). Standard’s backpack works nicely with my favorite packing cube set. A designated laptop pocket plus interior and exterior zippered compartments round out the organizational features of this bag. 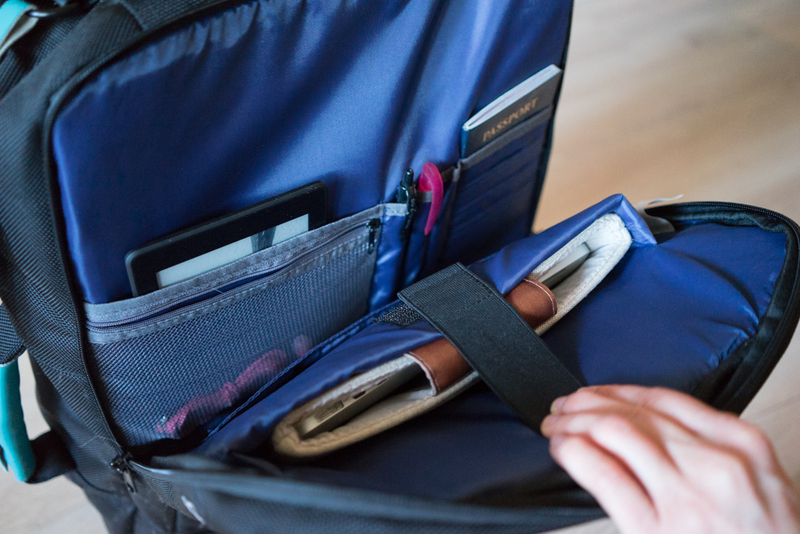 The designated laptop pocket has plenty of room for my 13″ laptop and my padded case. Concealable backpack straps and a detachable shoulder strap create the possibility of two very different carrying options. I’m usually disappointed in the quality of tuck-away backpack straps, but in this case, I was pleasantly surprised. The Standard’s straps are nicely padded — comfortable even on my collarbone (which juts out more than average, directly rubbing against any strap I’ve got over my shoulder). With comfy straps like these, this bag is clearly meant to be carried as a backpack. But if you’re not traveling by plane or are checking your luggage, this extra space would be handy for souvenirs! There’s ample room for what I need to fit into this bag, without expanding. I also prefer simplicity, so I’ve removed the leather zipper pulls entirely. Downside: My only gripe about this bag is that it’s a tad floppy — making it somewhat difficult to pack. The sides don’t stay up when the top is open for packing. But, as long as you’re not over-stuffing, this is easily overcome by packing more structured items (like packing cubes) against the bag’s edges. Standard offers their own packing cubes made to fit perfectly in this bag (we haven’t tested those). You can purchase the Standard Luggage Co. Carry-on Backpack on their official website at standardluggage.com. At $175, this bag sounds pricey, though is relatively low-priced in the startup travel gear category. Plus, it’s backed by Standard’s lifetime warranty and satisfaction guarantee. 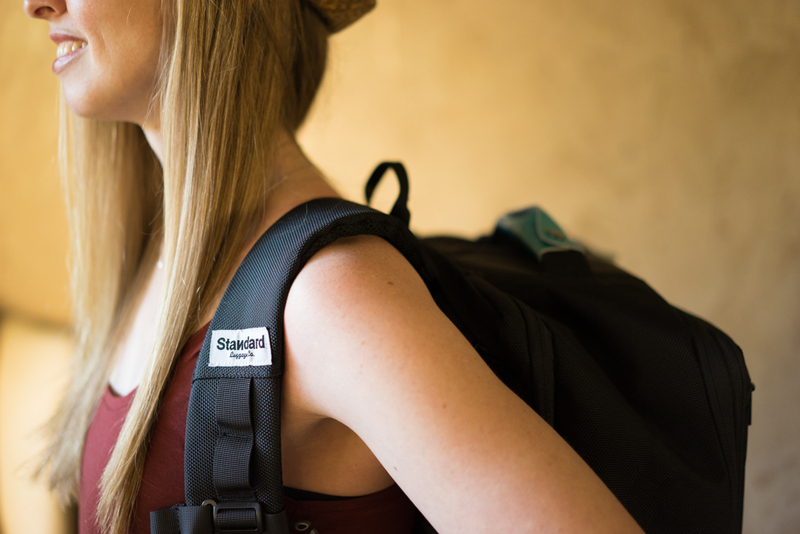 Read more about the design and features of the Standard Luggage Co. Carry-on Backpack at standardluggage.com. Note: A complimentary Carry-on Backpack was provided by Standard Luggage Co. for the purpose of completing this review. All opinions expressed here are my own. Hi Diana! Thanks for the well-written and thorough review! Most of the reviews I’ve read for this backpack were written by men so it’s nice to be able to hear a girl’s perspective! I’m 5′ even so hopefully this bag won’t look too huge on me.. I did have one question! 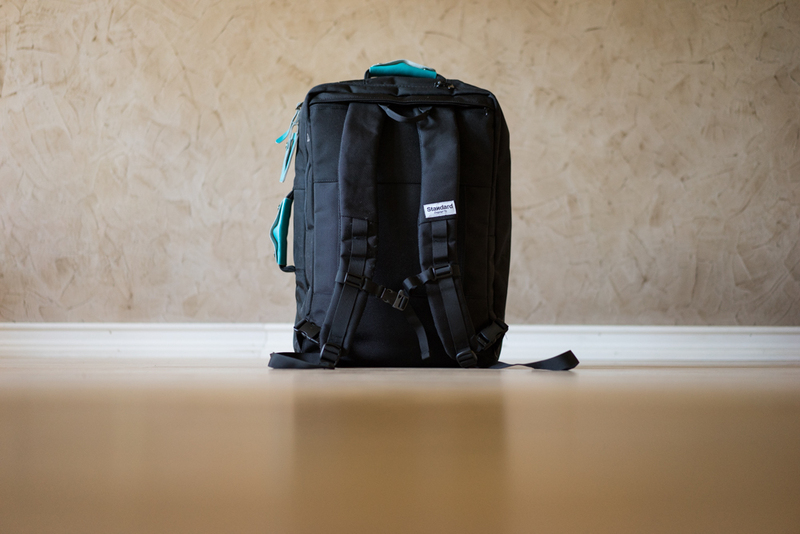 In the 60 days of living/travelling with the Standard Luggage Co. Carry-on Backpack, did you ever find the bag to be unsuitable for walking long distances in the backpack mode? I know you said the straps are very comfortable; I was just wondering how the weight is on the shoulders, especially because the backpack doesn’t come with a waist strap. Thanks! I’m a pretty light packer, so I didn’t have any problems carrying it for long distances, but I think the answer to your question really depends on the weight of your bag. I personally wouldn’t carry any backpack heavier than 8kg (the weight of my current Euro trip backpack) for an extended trip. If your backpack will be around that weight or less, the Standard bag would probably be okay. The Standard bag does have comfy padded straps with an optional strap across the chest, and the laptop compartment is against your back which helps make the bag feel lighter, but if you’re going on a true backpacking trip (going up and down lots of steps, moving from place to place a lot, taking frequent public transportation) and the weight of your bag will be over 10kg, I’d opt for a different bag. I hope that helps answer your question! Let me know if I can clarify anything. 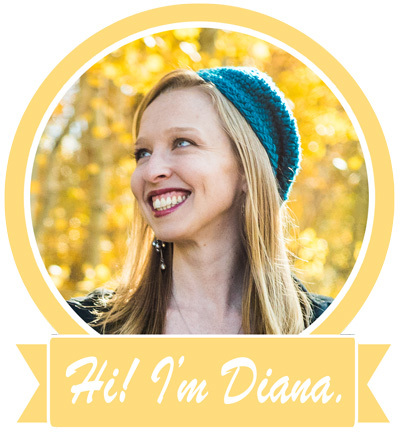 Diana–thank you so much for your reply! Super helpful; happy and safe travels to you! Hi Diana, I am not sure if you know the answer to this but thought I’d ask 🙂 Do you know if this backpack (not expanded or expanded) can fit under the seats of airlines? I currently have a duffle bag as my main carry-on for shorter trips within the USA which is tiring to carry so I was looking into this bag. Hey Kat, I just realized my reply never posted. Sorry about that! This backpack won’t fit under the seat in front of you on an airplane, regardless of whether it’s expanded or not. It’s designed to fit perfectly in the overhead bin. Standard’s Carry-on Backpack now is its 3rd version. Over the last few years we’ve taken an extensive amounts of feedback to improve the design in what we feel is the best version yet.